GITEX is here (till 4th October at World Trade Center and till the end of EID at other outlets). And you might be thinking about investing in a camera and if not here is a great article by Peta Pixel on why you should. Buying a new camera would be especially appealing if you are in Media or if you just started indulging in photography and don’t know how to choose a camera. So, here are some tips from my personal experience to help you choose the perfect camera. The greatest obstacle to capturing good photos is composition, framing and lighting. The difference between an amateur and professional photographer is, choosing the right frame and capturing the photograph in the best lighting conditions with the right composition. This is a skill one can only obtain through repeated trial and error. The best thing to do when you first start off is to start with consumer or prosumer (In-between Consumer and Professional) level hardware before moving on to more expensive hardware. Save your money and get a reflector instead or invest in a cheap and inexpensive lighting rig such as this. The Megapixel count, in today’s world, is purely for bragging rights. The best displays available in the market today are UHD TVs or 4K TVs which max out at 8Mpx, which simply means anything more than 8Mpx would suffice for general photography needs. Most Mid-Range DSLRs are around the 18Mpx to 20Mpx mark. Higher megapixel devices exist in order to improve the quality of large format print, postproduction cropping/zoom and digital zoom. In the early days of digital photography, the quality and megapixel count was terrible – lower than 1Mpx also known as VGA quality. TL:DR – Anything above 8Mpx is good. Every brand has a different interface. Certain DSLR models have small LED displays to show you shooting settings, whereas some Mirror-Less Cameras feature 360 Degree swiveling displays. In addition, the buttons and dials make a huge difference while shooting. Placement of shutter speed and aperture dials are very important while shooting in changing conditions such as sports photography or shooting on a cloudy day. Sometimes, the right moment for a great photograph only lasts a few seconds. You cannot be fiddling around with your controls at that moment. 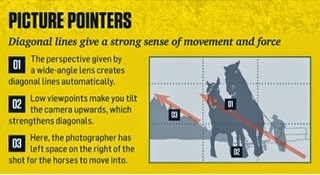 Before you buy a camera, pick it up and change the controls with your eye to the viewfinder. This can determine how easy or hard it is for you to do so. TL:DR – Everybody has their own likes and dislikes. Choose your interface wisely. Mirror Less cameras are an evolution of DSLR systems. 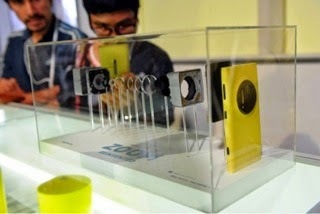 They eliminate the mirror and in turn use a digital viewfinder. This in turn makes these cameras generally faster and lighter. However, the major disadvantage for an amateur photographer is the lack of affordable lenses and accessories. 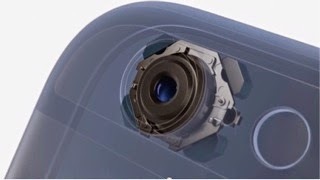 This is because due to the relatively new technology and lens mounts, not all lenses are compatible. Adapters such as the Metabones are as expensive as lenses. The advantage for beginner photographers is the weight. DSLRs are bulky and heavy. Over prolonged hours of use, you can get fatigued quicker. 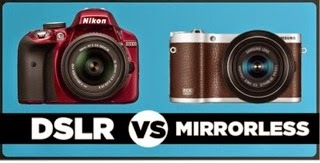 Mirror-less camera bodies are lighter and don’t get as hot either. TL:DR Version – DSLR systems are cheaper with comparable image quality. Mirror-Less cameras are lighter and generally feature better auto-focus systems. The choice comes down to your priorities and budget. Either way, the image quality would not be a deal breaker. This is one arena where bigger is better. Nikon and Canon are renounced for their rugged weatherproof camera bodies. In the UAE it does rain in the winter and this would be handy for outdoor shoots. But remember! Weather-proof is NOT equal to water-proof. Submerging a camera would damage it. 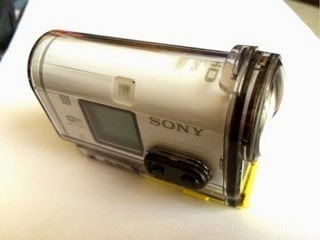 If you are looking for an inexpensive waterproof solution buy an action camera such as a GoPro 3+ Black Edition or a Sony Action Cam AS100. They both come with waterproof housings and have been proven to work underwater. ISO is important for low light shooting. Rule of thumb is- the greater the ISO capabilities of a Camera the greater the Low Light Performance. But, what people fail to take into account are artifacts and grain induced in higher ISO counts. The market leader in ISO count is the A7s with an almost half a million ISO count. However, this is also one of the most expensive cameras on the market. Steer clear of the ISO race and check the camera performance at ISO 1600. In the UAE, this would be one of your most frequently used ISO levels due to adequate street lighting at night. If grains are visible even on the tiny LCD preview screen of the camera, then this would be a bad choice. If you can’t view this on a larger screen, do zoom in and look at the details. One easy way to compare this is to take a picture keeping your ISO 100 and then again at ISO 1600. Compare these two photos and judge for yourself. TL:DR - Don’t trust the brochure or the sales person. Just test it for yourself and make sure noise will not be an issue during indoor or night-time shooting. This makes a huge difference on the price of the Camera. The larger the frame, the greater the price! Film Cameras from the 1990s and early 2000s are considered to be Full Frame i.e., 35mm in DSLR cameras. 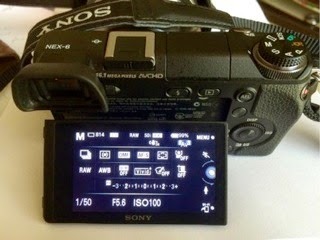 Most affordable cameras however are: Micro 3/4th Sensors (also know as APS-C). These are smaller than Full Frame but they are more than adequate for the job. Camera sales people throw such lingo around to confuse the buyer, don’t get fooled into paying more based on sensor size. TL:DR – Stick to Micro 3/4th Sensors also know as APS-C size sensors to start. Larger sensors are only effective with a higher skill set. Micro 3/4th sensor – It's as big as a stamp! This will probably be the biggest investment you will ever make when it comes to buying a camera. Lenses are expensive. Even Mass Produced Lenses are Expensive. 2nd Hand lenses can be as expensive as camera bodies. What is the best lens for you? Simple – 50mm. Why 50mm? Because 50mm is ideal for portraits, which require bokeh, 50mm is great for landscapes and in general 50mm lenses are great for low light and fast (translation: Good Aperture.) Why is this the case? Because 50mm lenses are in always great demand, which means you have a lot more options from 3rd party manufacturers such as Sigma and Tamron. In addition, 50mm lenses are light. And in some cases even lighter than 18 mm lenses! A Pancake lens (such as a 50mm Lens) also helps a photographer learn the lens limits quicker, which means you can focus more on composition, framing and lighting and improve your skill. 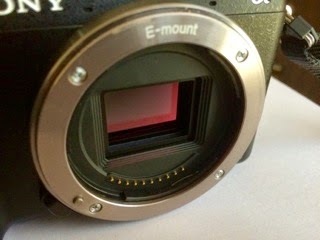 Perhaps the greatest advantage is the re-sale value of a 50mm. Due to the great demand, 50mm lenses sometimes sell as much as the original price, which means you will have plenty of money left to invest in new lenses. Video is NSFW – Contains strong language. TL:DR – Buy a 50mm Pancake lens. In conclusion, ignore the colorful photos and sales pitch. Pick up your camera based on your budget and preferences. Manipal University - Dubai is heavily invested in Nikon systems, which would give you access to a wide range of flashes, lenses and filters. Just bare in mind most lenses and accessories are incompatible with other manufacturers. Now you have the procedures to make a successful purchase, so head on over to Dubai World Trade Center or the near mall. The opinions expressed in this article do not represent the views of Manipal University – Dubai.